President Maithripala Sirisena while speaking to a gathering in Mahara on Saturday (13) wanted to know how many politicians dare to come up on stage and say they are clean and that they do not plunder the wealth of the people and charged that such politicians were scarce these days. He said the top officials in the government sector too were prone to following in the footsteps of politicians these days. 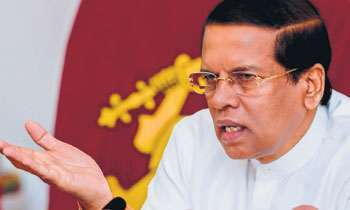 The President said graft was well entrenched in the political culture of Sri Lanka, and people were voting for the same set of politicians at successive elections despite being aware that they were thieves. If we can prevent the loss of revenue due to corruption and fraudulent activities in this country bridging the budget deficit would not be a difficult task. dont give nomination in your parties. SO..... IF YOU CLEARLY AND UNDOUBTEDLY KNOW ALL ARE UNCLEAN, SACK THEM ALL WITHOUT TALKING BULSHIT. What happened to the SMEC International deal ? What is this pot calling the kettle black nonsense. FORBES has named you the third richest politician in this country. How did that come about ? Explain Mr President ! Can you explain your current wealth in terms of what you legally earned in the last 30 years. Hei hei hooo! Australian media revealed about your cleanliness. Have you forgotten? We all know that very well. How about you? Even if you have not played out directly, helping ones brothers, friend or relations with contracts is also cheating. Sacking all is not a solution since you have to run the government. Select some good educated people to contest elections. Hopefully this will start a clean-up process. Its a long long path though. How do you clean the garbage when your head is stuck in the can ? How about your son and daughter? Are they clean? All of them.All of them are "truthfully" saying to the people that they are "honest". So the people are honestly and truthfully voting for them. Nothing to worry. Does this include your family members: daughter (Chaturika) and beloved son-in-low!!!! Clean, eh! Very well said Mr. President ! Including yourself ! NONE . The HONEST are 6 feet down under OR yet to be (NEVER) born . 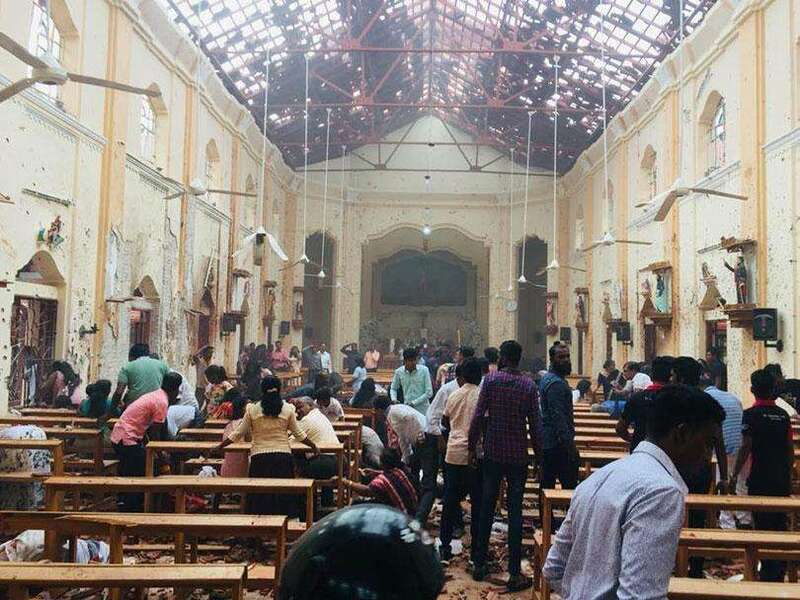 I would count ZERO in Sri Lanka. They are all crooks working to fill their pockets at any cost. Let us all be honest to ourselves first. The simple answer to this question from an ordinary citizen of this country is: "From top to bottom - No one"
Cleanest chairman in the country is SLT chairman Kumarasinghe Sirisena and also his buddy Rashantha. Don't ask us that question, this is your government and you hold the most Executive post of the administration. Aiyo! This is the same man who as soon as he became President appointed his brother to head SL Telecom, who has been taking his whole family and other relatives and various hangers on to the UN at state expense. How clean is that? People wanted a change but who appointed the ones they disliked once more?These are mistakes made over and over again. Very True! But are you any different from them??? ?